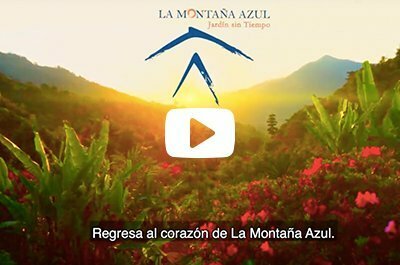 WHAT IS LA MONTAÑA AZUL? 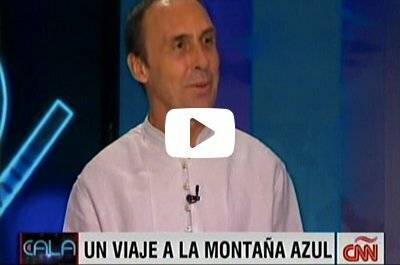 “La Montaña Azul is a smile from the heart that travels around the world as a free spirit through all those who have been transformed while visiting her”. La Montaña Azul is a retreat and educational center for well-being and for the awakening of consciousness where courses of Chi Kung, Tai chi chuan and Meditation, Awakeners of Happiness, Conscious Well-being, Healthy eating, Special programs for children are held and young people, among others, who contribute to improving the quality of life of human beings. In this space, tools are offered to nurture integral health, inner peace and the spirituality of Being in doing. It has a team which is committed to providing a service full of warmth, to make your experience a unique opportunity that facilitates the awakening of your deep happiness. Welcome to this magical place that more than a physical space, it is a transforming experience and a journey towards the most beautiful paradise: your heart. 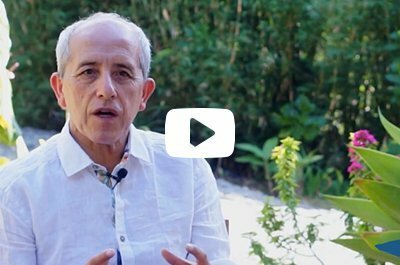 To contribute to the awakening of consciousness through, an essential education that offers, knowledge, inspiration, first hand experiences, and tools for transformation and well-being. 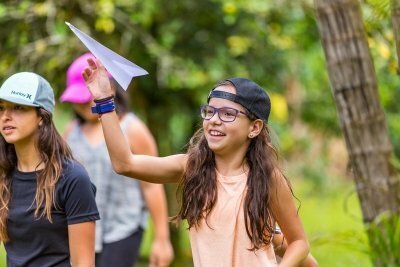 In order to achieve a fuller life with more meaning, Essential education integrally activates the physical – mental – emotional and spiritual potentialities. 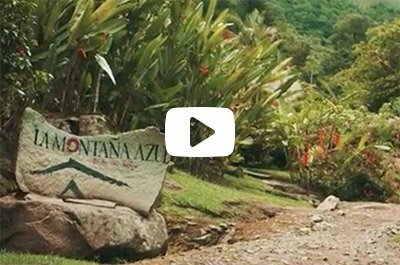 Each of the courses at La Montaña Azul is designed to facilitate a deep encounter of the Being through different practices. You will have the wonderful gift of connecting with a space of infinite, subtle joy that exists in your heart. We invite you to know more about our programs. La Montaña Azul welcomes groups of international teachers who use it as a venue for their retreats and courses. 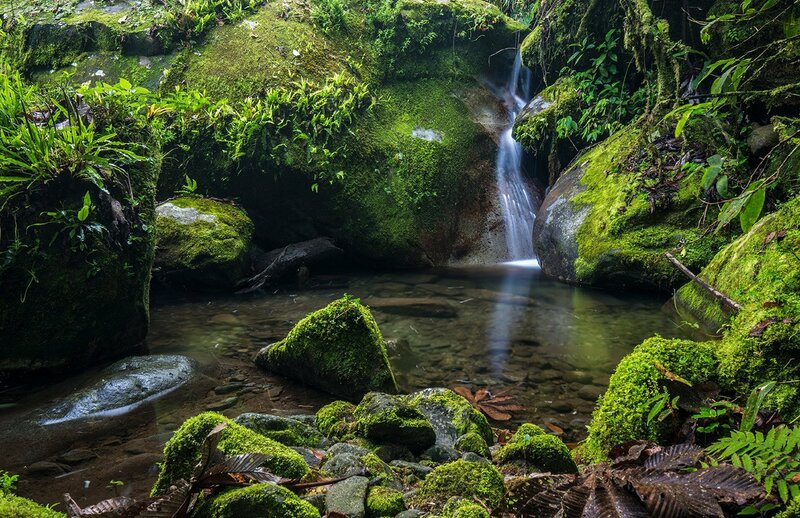 Located in the middle of a natural reserve with a crystalline river, where its location dialogues in perfect harmony with nature and is attended by people who are at your absolute service, this is an ideal place to hold your event in total deep peace, and joy. 800 meters, about 2600 feet, from La Montaña Azul, there is a very unique place built especially for the needs of children and youth between 7 and 17 years of age. 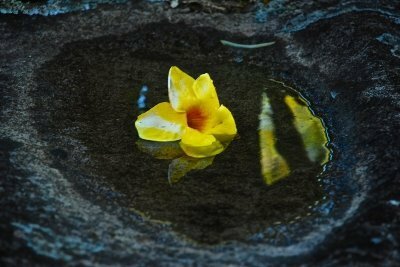 The most important purpose here is to nurture the capacity that is already innate in them: living with deep happiness and in connection with their Being and their environment. Healthy and exquisite flavors are prepared with delicacy and love for your happiness. Relaxing goes beyond letting go of mental, emotional and physical tensions. To relax is to recover a natural state of serene vitality. A Social Solidarity and environmental commitment project. 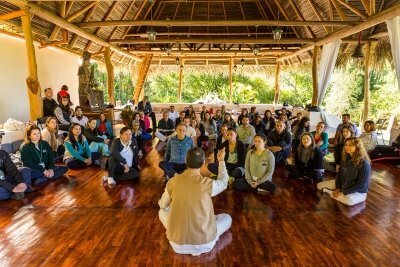 We host teachers, coaches and facilitators from different parts of the world who come with their students to teach courses and hold retreats in the serenity of this space. We also serve companies, educational centers, or other groups that require a comfortable space with excellent attention, for meetings of human and organizational improvement.